In the last post we described a visit to an organic coffee cooperative in Guatemala. In addition to the economic lessons we drew from the cooperative experience, we also saw how drying often happens in a developing economy. 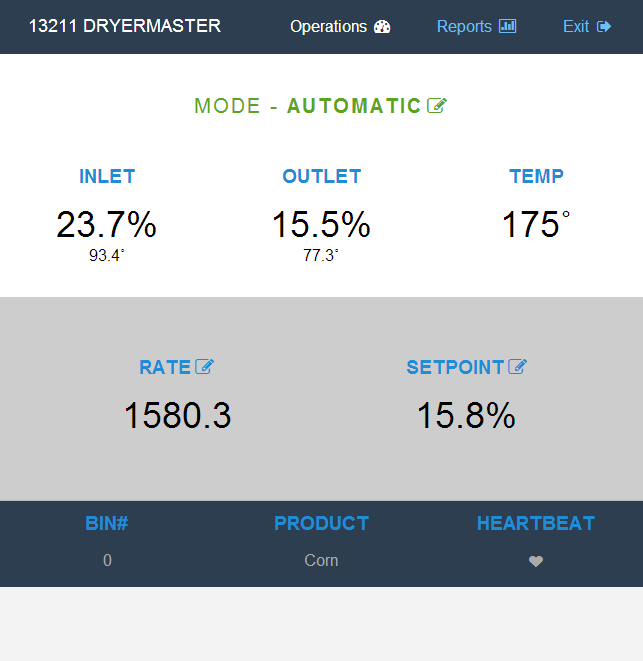 At La Voz there is no need for a Dryer Master computerized drying control system at this time because the cooperative does not even have a coffee bean dryer. This is a situation that is mirrored in many smaller scale operations in the developing world for a whole variety of crops. 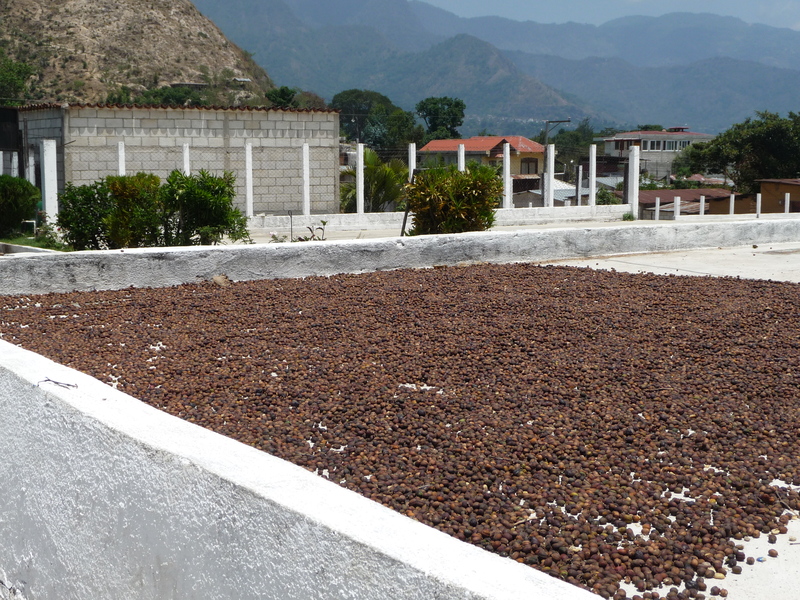 The cooperative’s coffee is all sun dried in an open area right next to where it is washed and cleaned. The actual harvest extends over a long period running from November to March, which coincides with the dry season in the region. During this period rainfall is almost unheard of and the cooperative can take advantage of almost constant day time sunshine to dry the beans outdoors on a drying pad, a process that takes about 5 days. As the harvest occurs over an extended period it is possible to use a relatively small area to dry all the beans harvested. Once the beans are dried they are hand sorted by women from the cooperative, to ensure that the ones headed for export are top quality. The beans are then bagged in burlap sacks and shipped to the capital where they are processed to remove the parchment skin and then repacked for export from the Pacific Coast to the end customers in Japan, California and Alaska. This entry was posted in Coffee growing, Drying, Uncategorized and tagged coffee. Over the years we have seen a continued rise in the average farm size in North America, yet in many parts of the developing world there are still many small farmers trying to eke out a living on quite minimal acreage. Recently we had the opportunity to visit a coffee cooperative in Guatemala to observe how they are handling the challenges of global markets in the face of small individual land holdings. The La Voz Cooperative is located in San Juan La Laguna, Guatemala. All together 150 families are part of this small 33 year old cooperative that produces organic coffee for export. On average each family has only 1 hectare (2.5 acres) of land from which to make a living. 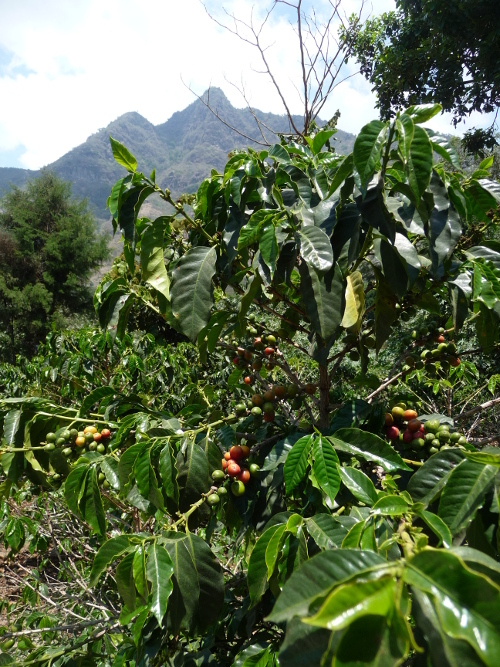 They farm Arabica coffee organically at an altitude of over 5,000 feet with 60 per cent shade using trees like banana and avocado to provide the shade cover. They also harvest the bananas for personal use and try to sell the avocados outside the area to earn some additional cash. In a good year the cooperative, which maintains a basic processing facility, is able to process and sell 5 container loads of export quality coffee beans. They have just 3 customers, one in California, one in Alaska and one in Japan that buy 95% of the coffee they produce. The remaining 5% is kept to be sold locally, especially to visitors to the cooperative. The cooperative is an interesting example of how small growers with minimal land holdings in a developing economy are able to access an export market for their specialty crop. Of course there is no doubt that the quality of the coffee also helps. Coffee grown at over 5,000 feet is referred to as “very high altitude” coffee and it is known that as altitude increases the coffee’s flavour profile becomes more pronounced and distinctive. Add in the impact from the region’s volcanic soil and we can attest that the La Voz coffee definitely delivers a lovely coffee drinking experience. This entry was posted in Coffee growing, Uncategorized and tagged coffee, fair trade coffee, Guatemala, organic coffee.